Eastern subterranean termites are highly destructive pests that just happen to be highly invasive throughout the State of Indiana. According to statistics, these troublesome pests cause approximately $5 billion dollars’ worth of property damage each and every single year. In the early months of spring, the termites started to swarm. Many overlooked the swarm, believing it to be nothing more than flying ants; however, this was not the case. 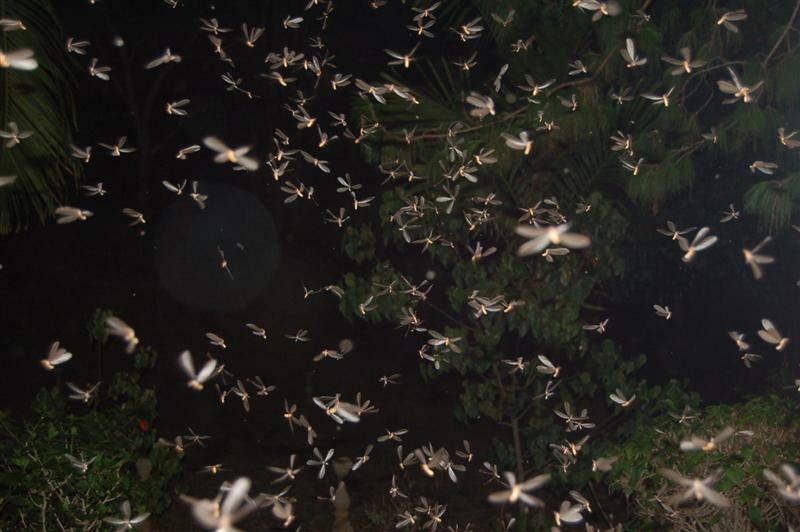 The massive termite swarm occurred as a result of the insects leaving their nest. They swarmed in order to identify a new location to start a colony. Unfortunately, most of the swarms are nestling down by the homes and other buildings on your property. Continue reading to learn more about eastern subterranean termites and to learn how to eliminate the threat of these destructive pests to your property. There is a special designation in the State of Indiana as TIP Zone #2. “TIP” stands for “Termite Infestation Probability”. The Zone #2 means that termite infestations in the area are “moderate to heavy”. This means that the overall potential for infestation and damages is considered by professionals in the industry as being “significant”. Eastern subterranean termites are considered to be the most common and the most devastating of all termites in Indiana. All structures composed of Douglas Fir and various other types of timber are at most risk for the devastation imposed by these pests. Due to the fact that Indiana is a TIP Zone #2 region, termite prevention and pest control services are a must when it comes to protecting structures throughout the state. Identifying an eastern subterranean termite infestation starts with knowing the difference between a flying termite and a flying ant. To succeed in this endeavor, look at the waist of the flying insects. An ant will have an extremely narrow waist and a termite will have a very broad-like waist. Additionally, the antennae on the insect will be straight if it is a termite. There will be four wings on the insect. In termites, these wings are not only equal in size, but they are about twice the length of the body – as a whole. Now that you know how to identify a swarming eastern subterranean termite, it is now time to learn about the physical signs of an infestation. When observing wood that you feel may have been subjected to the destruction of termites, look for passages that are seemingly coasted with an odd type of earth-based material that almost looks as if it has been directly glued to the wood. If you see wood that looks as if it is rotted, use a screwdriver and try to probe it. You may actually see worker termites come out of the wood when doing this. Eastern subterranean termites are known to make wood-colored tubes. These aid in protecting them during feedings and provide travel passageways.